산니콜라스 중심에 위치한 본 숙소(호텔 글로발레스 레푸블리카)는 부에노스아이레스 여행을 위한 최적의 장소입니다. 도심에서 단 1 km 거리에 있는 본 숙소는 투숙객이 빠르고 쉽게 지역의 많은 명소들을 즐길 수 있는 위치적 이점이 있습니다. 본 숙소는 도시의 필수 관광 명소에 손쉽게 접근할 수 있는 편리한 위치를 자랑합니다. 본 숙소는 최고의 시설과 서비스 제공을 통해 투숙객이 편안함을 느끼도록 최선의 노력을 다하고 있습니다. 투숙객 편의와 편안함을 위해 숙소에서 Wi-Fi (공용 구역), 룸서비스, 공항 이동 교통편 서비스, 레스토랑, 여행 안내소 등을 제공합니다. 호텔 글로발레스 레푸블리카 고유의 분위기가 모든 객실에 반영되어 있으며, 금연, 에어컨, 미니 바, 발코니/테라스, 무선 인터넷(유료) 등을 이용할 수 있습니다. 본 숙소 투숙 기간 다양한 여가 시설 등을 이용할 수 있습니다. 아주 좋은 위치에 있고 우수한 시설을 구비한 본 숙소(호텔 글로발레스 레푸블리카)는 부에노스아이레스에서의 잊을 수 없는 추억을 위한 완벽한 장소입니다. Obelisco 바로 앞에 위치해 있어 가까운 거리에 대통령궁, 국회의사당, Cabildo 등이 있어 손쉽게 그리고 짧은 시간 내에 주요 관광지역을 방문 할 수 있으며, centro와 가깝기 때문에 이동하는데 특별한 불편 사항이 없었음. In every cafe, bar, ice cream shop even on the street WiFi is free in Buenos Aires but this hotel charges by the day, outrageous really for a supposed 4 star hotel, which it clearly isn't. The hotel has a fabulous location ,IF, you get a room facing the Obelisk if not you may as well have a room on the moon. There are numerous hotels close to this hotel which are far better value for money than the Hotel Globales. DON'T STAY THERE!!!! Breakfast very good. Have to improve cleaning service. Staff at desk polite but do not inform about my options . Anyways i recomend this hotel. in general good hotel, in the middle of Buenos Aires, wifi is not free in the rooms only in the lobby, Receptionist was very understanding and let me check in as soon as a room was available. very well centrally located hotel ... rooms are spacious .. b/f good .. all buisness offices are within walking distance . spa is v nice !! 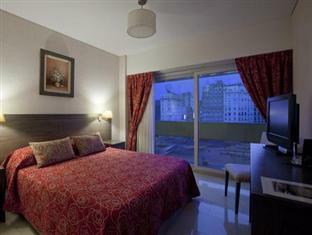 The hotel is located in the city centre, clean, quiet and comfortable. Convenient to walk to most attractions. It is a safe area to walk around at night with lots of restaurants and stores in the surrounding area. good hotel if not a little expensive but you are paying a premium for living in that location. the stay was let down by the use of the Spa we had a 3 year old child who couldn't use the pool as the age limit is 14 years old. the Scottish showers haven't worked for some time, you have to pay to use the facility for which you get a towel and some very dirty sandals which you 'must use' the gym equipment only half of the equipment work correctly the other half is covered in dust. the breakfast is adequate but we where there over Easter and the staff where struggling to keep up with the number of guests arriving for breakfast at the same time. they advertise a room extension to allow you book out at 1800hrs (we had a late eve coach booked) when we asked for the extension we where told we would have to leave our rooms as they where fully booked the next day. the hotel was located in front of the obelisco, the view from my room is great. it is near a supermarket and restaurants. the shopping centre is also close, no need to take a taxi or metro you can just walk to shopping centers and main attractions. breakfast was ok, room service was ok also. the free wifi in the lobby area was also very helpfull. i would definitely stay here again next time i come to buenos aires. The staff who are older are unfriendly and not helpful. The room is very tiny. The housekeeping didn’t do a good job. The floor of the room is always left unclean, no vacuum at all. Every morning, there is a very loud sort of generator sound at 6am which is very disturbing. Breakfast was good and the staff over there are quite friendly. i always stay in hotel republica when i go to the buenos aires, i prefer that hotel because your great location and good rooms. for those who want a shopping trip, better look elsewhere tips. excellent location for tourism. Extremely rude, disinterested staff, small, stuffy, noisy, smelly, smoky, dingey rooms; some complete with loud exploding noises behind the walls. The hotel's location opposite of the Obelisque on the main road is good, however everything else about this place is awful. 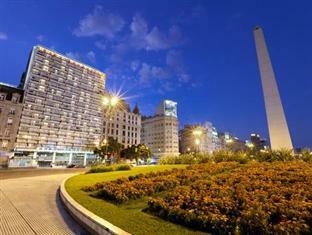 Not having been to Buenos Aires before, we booked this place for 6 nights off Agoda because of it's central position. Other first time visitors to B.A., don't follow our lead as there are many other hotels in this area. This place doesn't deserve your business.